This was a beast of an overhaul. 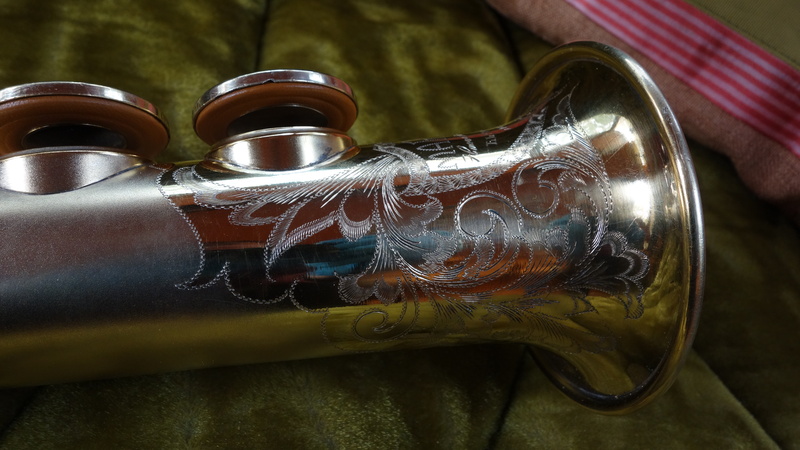 This beautiful gold-plated saxophone originally had the Martin “Neverleek” pad system, which was a gimbaled pad that consisted of a very large dome hard-soldered in the key cup, with a very thin metal-backed pad that was lightly screwed into the dome to allow it to gimbal around to seal on the tonehole. Typically, you would expect that if someone were to install regular pads on a Martin that originally had the Neverleek pad system in it, they would remove the domes first. 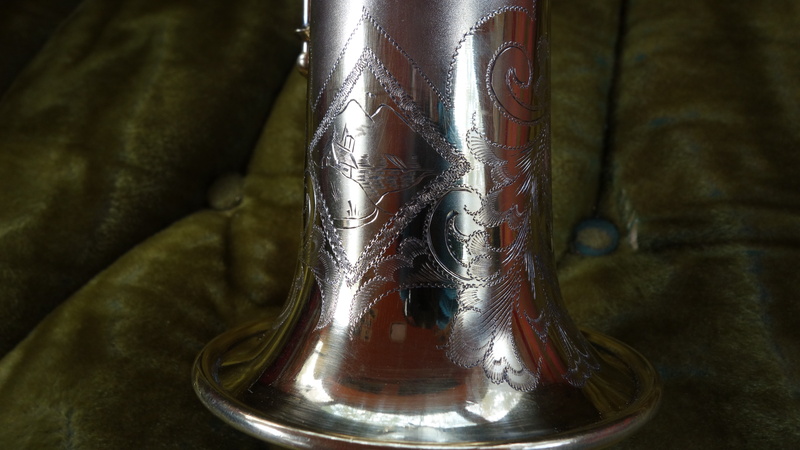 Unfortunately on this horn, at some point somebody installed regular thick pads in it right over top the domes- resulting in an overall pad thickness of nearly a quarter inch!- and just bent the ever-loving sh*t out of the keys and key cups to make it sort of work. 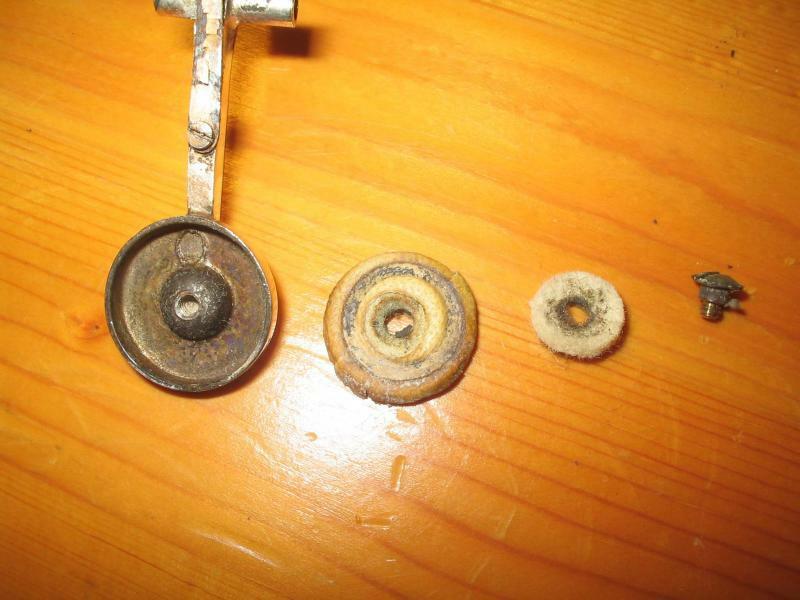 In addition to this, several keys had been broken (likely due to the bending being so severe) and poorly repaired, and one of them was just straight up sawed through for no apparent reason. 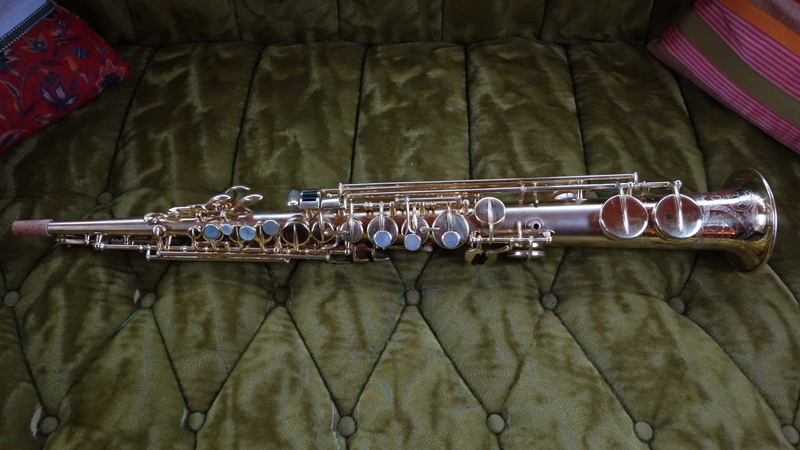 So when this saxophone came to me, it was an absolute stunner- with some of the most severe geometry problems of any saxophone I have ever worked on. 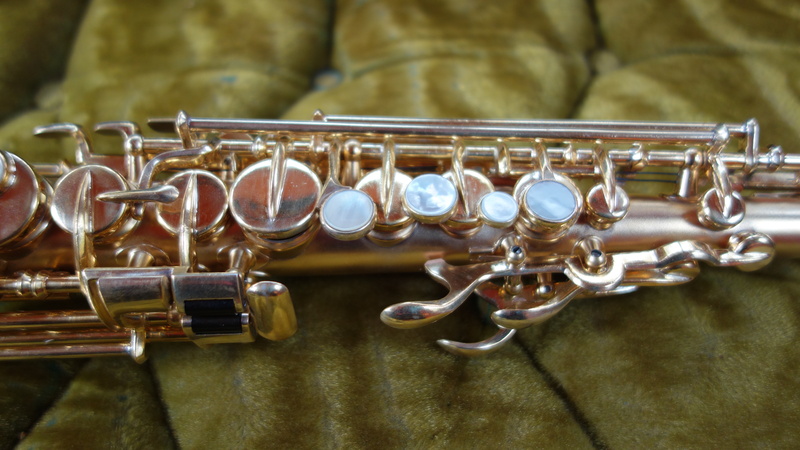 However, if you’ve ever played a Martin Handcraft soprano, you are already aware that this was a saxophone worth saving, even if it wasn’t the rare gold plated version with unique engraving. 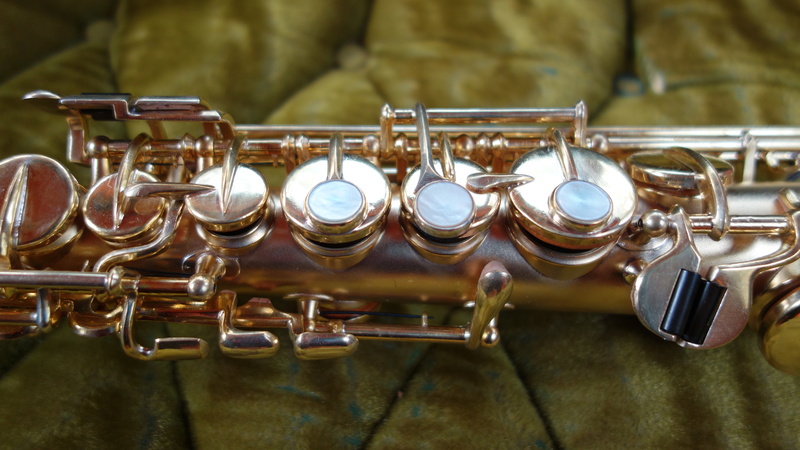 The Handcraft soprano is one of the most in-tune and beautifully toned vintage soprano saxophones, and many people who have been lucky enough to play one consider it their favorite vintage soprano, myself included. 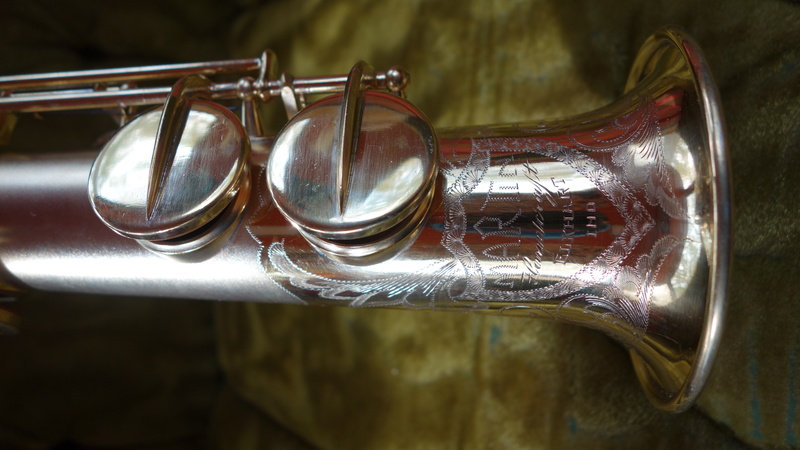 So a loooong mechanical rebuild later, this horn responds easy, feels snappy and tight under the fingers, looks damn gorgeous, and plays so beautifully it makes my heart ache. I’ve been working on this little beauty for so long I’ve gotten attached to it, and I will find it hard to say goodbye. But I am so happy that in my job I get to pull beautiful works of art like this away from the brink and give them back the life they deserve. Should I repad my horn?